Rivian impresses before the show even opens. The New York Auto Show doesn't officially open to the public until April 19th, but that doesn't mean the fun hasn't already started. The weekend before an auto show opens is usually the real kickoff party, with manufacturers trying to get a jump on the competition, and many opt to show off their new vehicles before they hit the show floor the following week. That precisely what Rivian did with its R1T electric pickup truck and R1S electric SUV. Rivian, the upstart electric vehicle manufacturer from Plymouth, Michigan, promises to bring us "The world's first electric adventure vehicles" held invite-only events last night in New York City. I say "events" because according to Rivian, so many people asked for invitations, that they had to hold two events, one from 4pm to 6pm, and another from 7pm to 9pm. I know this happens to be true, because I was originally sent an invitation that said the event was from 6pm to 9pm. Then, a few days later, Rivian reached back to me to say they needed to have two events, and I had to pick one of the two time slots. Rivian was able to secure a space on Pier 76 (a real pier on the Hudson River) directly behind the Jacob Javits center where the New York Auto Show is held. This space is normally occupied by the Classic Car Club at Hudson River, and in order to make room for Rivian, they had to move cars like a couple dozen rare cars out into the parking lot for the night. Both the R1T pickup truck, and R1S sport utility vehicle, have a power opening/closing hood that conceals a huge front trunk. While you can certainly fit a lot of gear/luggage, etc. up there, it will probably be difficult to load & unload anything heavy, because of the height. These events were mostly for VIPs and reservation holders; they weren't press events where we could schedule interview time, so unfortunately nothing new was learned. 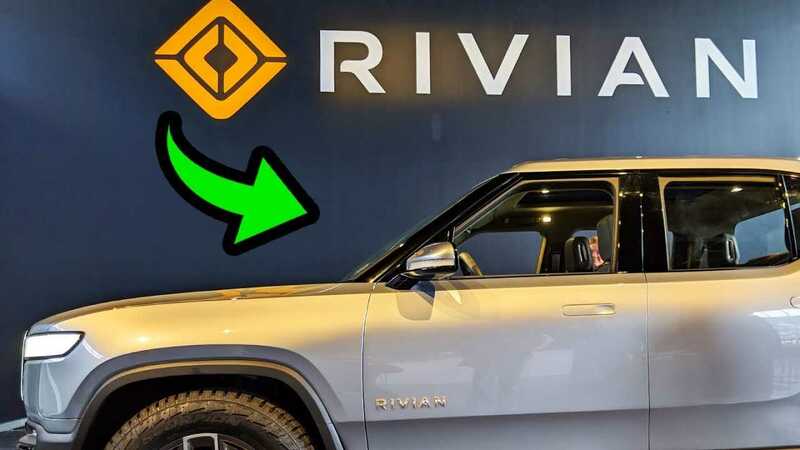 I suspect if Rivian is going to announce any new news, it will be done so during the Auto Show for maximum exposure. As you might expect, the crowd was extremely enthusiastic, and it reminded me of how it feels at Tesla events. Since most of the people in attendance were reservation holders, they were already on-board with what Rivian is doing. Plus, for most, it was their first opportunity to see the vehicles that they plunked $1,000 down on to reserve. Rivian CEO RJ Scaringe was on hand chatting it up with many in attendance. There was a line of people waiting to say hello and ask him questions. From what I could tell, he did his best to greet as many people as he could, and give them a few minutes before moving on the next person eager to meet him. Immediately after the event, I sat down with Alex from E For Electric to discuss Rivian on this week's Plugged In show. Let us know what you think of Rivian in the comments below. Will they be the first to bring an electric pick up truck to market, or will Tesla or another competitor beat them to it? What do you like and dislike about the R1T & R1S?